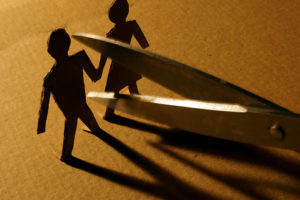 Whether your divorce is amicable or difficult, you may need help to regain control and move on with your life. Get tips for starting over after a divorce. Either way, there are typically stages of emotional upheaval people face on the road to starting over. As with any loss, you’ll go through periods of adjustment, active recovery and life reformation. Knowing what to expect (and understanding that the feelings are normal) will help you get to the other side. 1. Let yourself feel. By letting yourself feel, you’ll actually recover better in the long run. “Your emotional experiences are valid and uniquely your own. There’s no right or wrong way to feel,” Ms. Tucker says. “People universally grieve the loss of their dreams — the could’ve, would’ve, should’ve.” Take time to let these feelings out. 2. Talk it out. Working with a professional therapist can give you solid support, as well as practical tips to help you manage your money, housing, child care and health insurance. Professional guidance can also help you create time and space to grieve over your loss. 4. Work together to focus on children. For divorcing parents, Ms. Tucker recommends concentrating on what’s best for the children. Remember, you’ll be co-parents for life. Embrace that role and work to make decisions for your children by putting them first. 5. Watch out for stumbling blocks. Get help if you see signs that you are stuck on anger and resentment, feelings of extreme sadness or anxiety, choosing misery, suffering alone rather than reaching out, succumbing to fear and developing depression. 6. Avoid hanging on in desperation. You may fall into the trap of trying desperately to reconcile with your spouse, begging for forgiveness or promising anything to hold on to the relationship. “Divorce feels so final that people are willing to try again and again,” she says. 7. Don’t rush into a new relationship. Many people going through a divorce jump too quickly into a new relationship. They fear being alone or never falling in love again. 8. Use self-help and other resources. Books, online resources (research carefully to find legitimate ones) church-based divorce-recovery programs are all good places to find additional support. 9. Stay hopeful. Ultimately, you’ll work your way through the challenges and move on. “You know you are moving forward when you begin to build a new life worth living,” Ms. Tucker says. Ultimately, as you work through emotional issues, you can move forward and create healthy new relationships. “Part of it is taking personal responsibility and accepting your new life,” Ms. Tucker says.